Rich Ellenson runs a website: BaltimoreColtsMania.com. He built it in the mid-1990s, in the early days of the internet. And it shows. Big banner across the top, a menu bar running down the left side, and a bunch of text in the middle. The only colors are black, white and royal blue. "Its design is stuck in the past, gloriously, just as the Colts, really, are stuck in the past," Rich says. Just a couple of weeks ago, Rich updated his site. It was the first time he had touched it in 10 months. "It was tough," Rich says. "It was really, really tough just to type those words. And it's just one line of text on a Baltimore Colts website that I don't even know how many people would even read. But, you know, for me it had the weight of the world behind it." 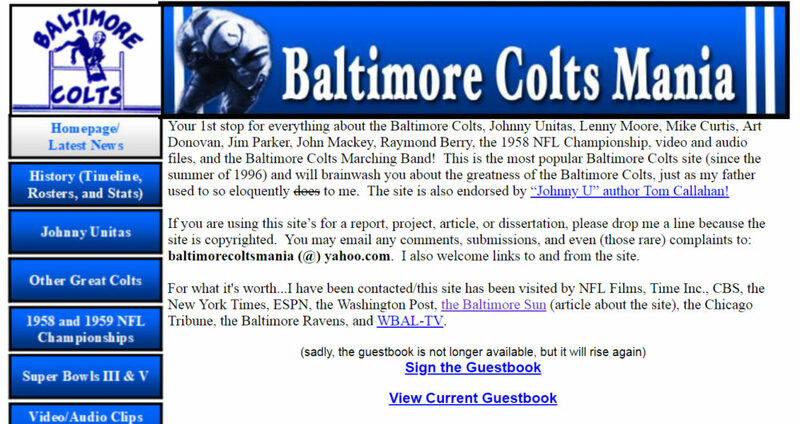 The story of BaltimoreColtsMania.com doesn’t start in the mid-90s when Rich opened up an .html textbook and taught himself some simple coding. It started long before that, in a front yard in Northern New Jersey, just outside of New York city, where Rich and his dad would play catch every Sunday. "And it wasn't very large, but we would play catch all the time there," Rich says. "And my dad would throw the football to me and he would say, ‘I'm Johnny Unitas.’ "
Johnny Unitas was, of course, the legendary quarterback of the Baltimore Colts. 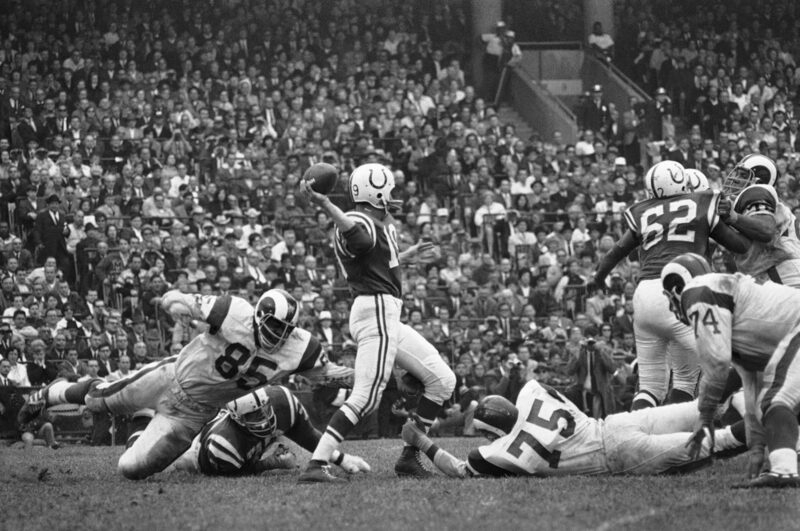 He was with the team from 1956–72, was a three-time NFL MVP and won three NFL championships and a Super Bowl. All of this happened long before Rich Ellenson was born. So in that front yard in Northern New Jersey, Rich’s dad, Bernie, would draw pass routes for his young son to follow — usually those run by Unitas’s favorite receiver Raymond Berry.
" ‘You're going to take three steps up and take a sharp right, and I'm gonna hit you right in the hands, I'm gonna hit you right in the hands,’ " Rich remembers his dad saying. "He grew up in Baltimore during the peak of the team. He had fond memories of his childhood. And I felt like for him — he was really trying to reach back to a time. So the team wasn't forgotten." It wasn’t just that Johnny U was long retired that made Sunday ritual odd. It wasn’t that Rich and Bernie were in Northern New Jersey, nowhere near Baltimore. It was odd, because the Baltimore Colts hadn’t existed since Mar. 29, 1984. "The team left in the middle of the night when I was only four years old," Rich says. "I wish I could tell you a story of my dad crying, but I don't recall it, of course." "He never really talked about it much — other than they were stolen in the middle of the night. And they were just gone, just like that," Rich says. "He felt like the city of Baltimore was robbed. The Colts were successful. They were very successful, which was great for the city. Because the city, he always told me, felt it had an inferiority complex with the rest of the I-95 corridor. And for that team to have any success, especially against the New York Giants from New York City, that brought unbelievable pride and made them not feel as just a city you would drive through between DC and New York." Whenever Rich and his dad would watch football on TV and the announcers would point out an amazing play, Bernie would tell Rich about a time 20, 30 years earlier when a Colts player had done the same thing. "So then I would meet up with my friends who would talk about current players, like Joe Montana or Troy Aikman or Brett Favre," Rich says. "And I'd say, ‘Well, you know, Unitas did that.’ And they would just roll their eyes because I was out to lunch, talking about a team that doesn't exist anymore." Still, the lessons stuck. So when Rich was in high school, he decided he wanted to teach the world about the greatness of the Baltimore Colts. He built a website, writing up stories told by his father, adding a bit of his own research and links to any news about the team. 'I had a goal to make the site to make my dad happy," Rich says. "And so I was going to stop at nothing to learn what I needed to learn to make that happen." Rich says his family was going through some tough financial times back then. His dad felt responsible. "He had a career in marketing, corporate marketing in New York City: Bristol Myers and Clairol and Revlon," Rich says. "And when he got let go from those jobs, he was down. I just thought this was a way to reach out — show him that I listened and I heard all of his stories — and, quite frankly, to show him that I loved him. Because I did, and I still do." "He was floored. He didn't even know what to say. He said ‘How did you know how to do this? When did you do this? How did you know all this stuff?’ I just kinda shrugged my shoulders and said, ‘I learned it. I taught myself.’ "
Throughout Rich’s teenage and young adult years, the website was always something he and his dad could talk about. It was safe. There was never a reason to disagree about the Baltimore Colts. 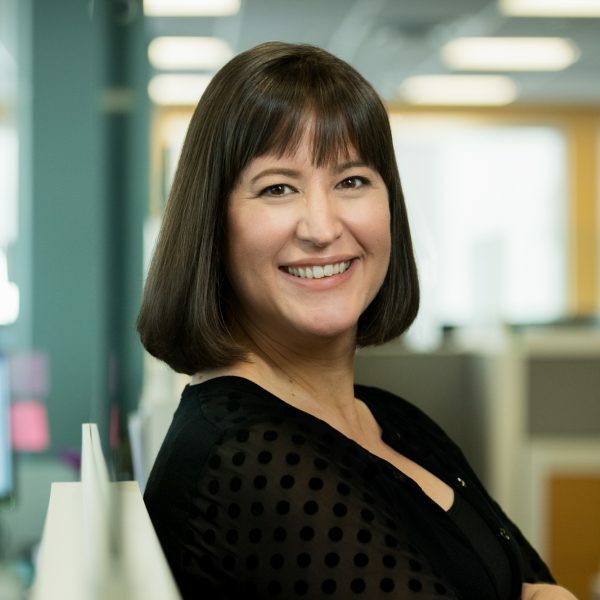 "A point of conversation was always, ‘How's that website doing? How's that Colts website doing? Did you hear from anybody interesting?’ " Rich says. Over the years, Rich heard from lots of interesting people — other Colts fans who had their own stories to tell. Eventually, BaltimoreColtsMania.com even got some media attention. 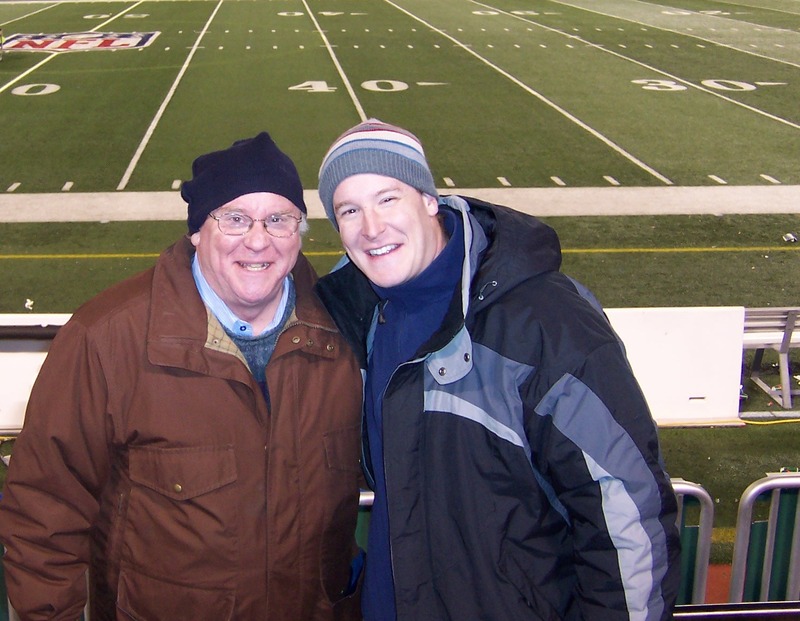 In 2007, when the Indianapolis Colts came to town to play the Ravens, the Baltimore Sun interviewed Rich Ellenson, son of Bernie. "He was over-the-moon excited," Rich says. "Even for him, I don't think his hyperbole matched his actual excitement, if that's even possible? For me to be interviewed by his hometown paper, the Baltimore Sun. He couldn't stop but tell every single person. ‘Oh, do you know Richie's being interviewed in the Baltimore Sun?’ "
Rich got married. Moved to California. He’d update the website when he could …usually late at night. When the first of his two sons was born, Rich and Bernie posed with all three generations — and Rich’s copy of Tom Callahan’s biography, titled Johnny U. "You know, we kinda did it in a joking way," Rich says. "And my wife rolled her eyes wondering, 'What are you doing?' But we were kind of serious. This is our thing. Johnny U and the Colts were our thing. And we're going to keep it going as long as we can." Over time, Rich found fewer and fewer articles to link to on the site — mostly just obituaries of players who had passed away. Fans were dying, too. Not many people were visiting the site anymore. "In the last year, I've received maybe five or six emails from Colts fans," Rich says. "During its heyday, if you will, I was getting two to three emails a week. 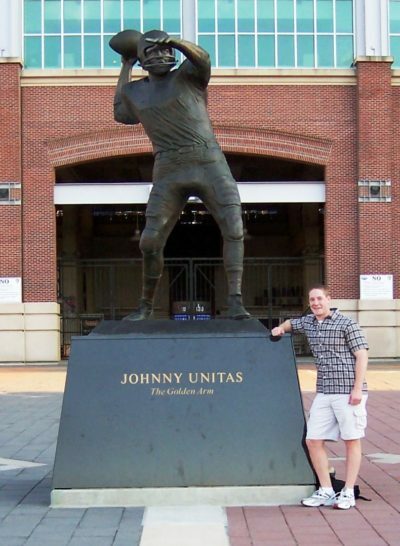 But once Unitas passed away in 2012, I think the interest went away." And then came that update. The one Rich posted just a few weeks ago. The one he was dreading. September 21, 2018 … It is with great sadness that I finally report the passing of my father, the inspiration of this site, who died 10 months earlier in December 2017. I am not sure what the future holds for this site now that he is no longer here, but please do continue to enjoy the site in the meantime. "For me, that made his death real. If it's on the website, that makes it real and truthful. "I haven't looked at the site again since then. I don't know that I need to or want to. I don't see updating it again. I don't know how much longer it'll go — it might maybe just go until the registration runs out in about 10 months or so. Shutting down the website would be really hard. I know it's the right thing to do, maybe? As I, you know ... this first year of grief, it's really hard. And I find myself reaching all over the place to grab things that remind me of him. And the one thing I don't want is my father's memory to be forgotten." As Rich Ellenson reaches for his father, he remembers more than just stories about Johnny Unitas and the Baltimore Colts. He remembers a man who was never afraid to show his emotions. He remembers long hugs at life’s milestones: graduation, the births of his two sons. And he remembers the tears that would stream down his father’s face. "I hope to pass that on to my two sons — that it's okay to cry, it's okay to be emotional," Rich says. "And it's okay to stand up for Johnny Unitas. It's okay to stand up for him. He was a great quarterback. And don't forget him and don't forget my dad." 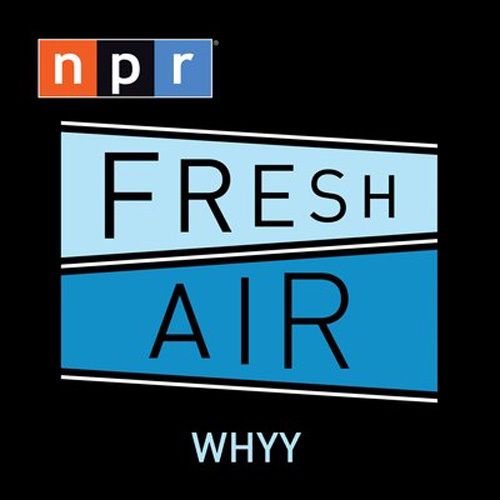 This segment aired on October 13, 2018.